Of the many things that go into planning a pilgrimage, physical demands are just as important. 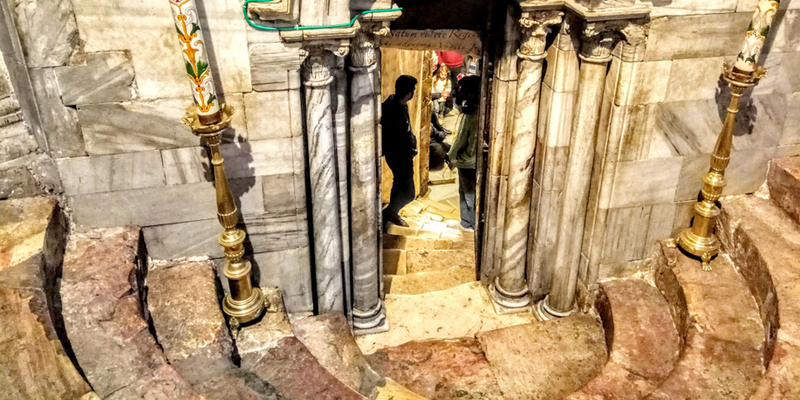 Beyond the distance and locations, we understand that a pilgrims with mobility limitations must consider the accessibility of their pilgrimage. Whether you are accompanying a friend/family member, or researching for options based on your own needs, we are happy to make as many provisions for you as possible, so please read the information below in order to help us - help you! 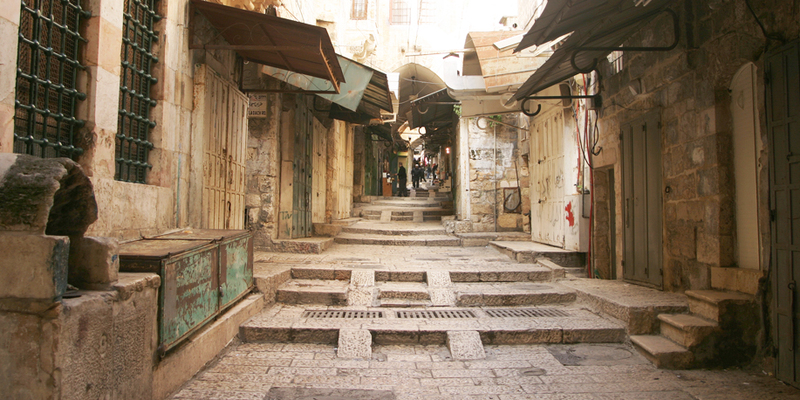 Israel and Jordan are based on a myriad of old buildings, cobblestone roads, and split-levels/uneven surfaces everywhere. 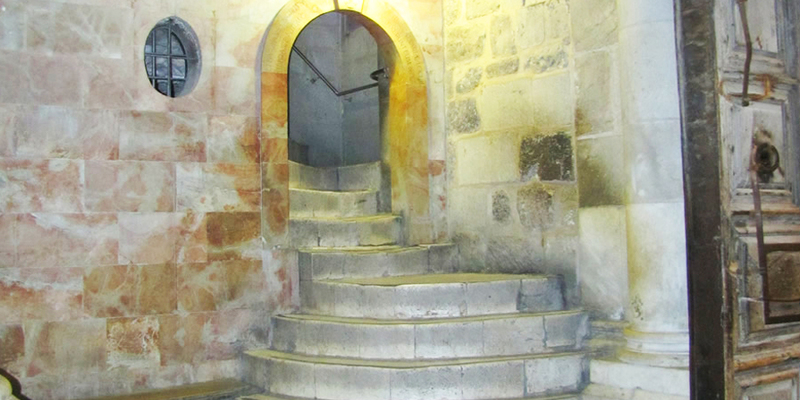 Due to the structure of the old buildings, access to some establishments may not be convenient for wheelchair use, will require the use of stairs, or the facilities for the disabled in general may be limited. Many streets are narrow, and due to strict traffic regulations, they are "Pedestrian Only" and the buses are not permitted. We encourage all pilgrims to be able to walk 3 - 4 miles per day, comfortably. Walking each day is not done all at once, as it is broken up throughout the day with Mass, and time on the bus driving from one site to another. However, you will need to walk to/from the Churches/Sites/Museums, as well as the walking that you will do while touring the sites from within. If you have a walker, or are not able to walk long distances at one time etc, rest assured that you will still be able to join our pilgrimages, just let us know at the time of registration so we can make note. Masses and visits to Museums are confirmed for set times, with some sites closing during the day for cleaning, so a pace must be kept. However, that pace is easily kept by most, and still allows time to prayer and reflection. Also, while it is noted that you can expect 2 - 3 miles of walking per day, that is not at one time! It is broken up by being on the bus, Mass, breaks, etc. We would not recommend bringing them on the pilgrimage. There is a set limit of space and weight available underneath the bus for each pilgrims checked bag, and nowhere on the bus to fit them. You would also incur additional costs from the Airlines in order to ship it to/from your destination, along with charging the Scooter etc. If you have additional questions, please feel free to contact our office anytime. Should you need a wheelchair only sometimes, or just in case you feel tired, we can arrange for a wheelchair to be placed on the bus, and available to you should you need it. Just advise us of which options (below) will make your pilgrimage easier. *We advise that someone travel with the client to help throughout the day, as well as in the evenings at the Hotel. Should a wheelchair be necessary at all times, we can arrange a Private Bus with a lift, that will make it easier for you to go on and off. Please be advised, these busses must be rented, and require an additional expense to the pilgrim, which are often quite costly. We can make requests for Handicap seating, or, we can request for Bulk Head seating. 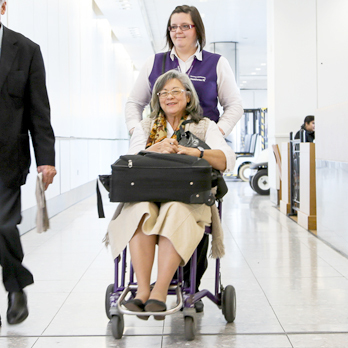 We can also arrange for Wheelchair Assistance from the moment you arrive at the Airport, to your Terminal, or all the way to your seat. These options all depend on the physicality of the pilgrim, or how committed to the wheelchair the pilgrim is. Should the wheelchair be necessary at all times, it would require a special bus with a lift to carry you on and off - those busses must be rented, and require an additional expense to the pilgrim, which are often quite costly. 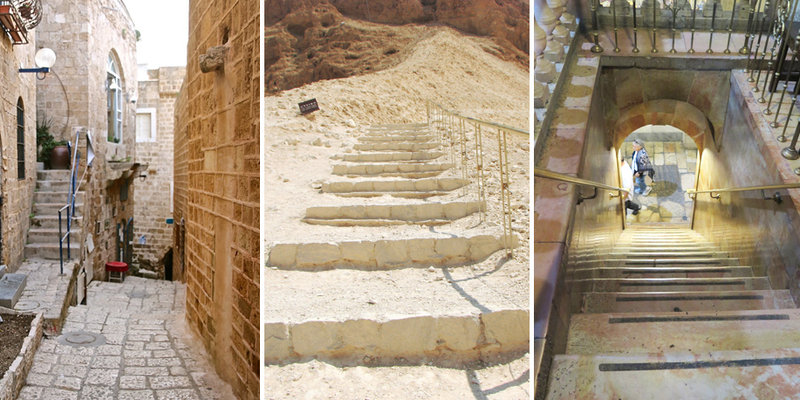 When going to Qumran and the Dead Sea, they are split between dirt and tar road, they also include uneven and long steep hills. For that reason, Private transfers to the sites (with that bus) may be necessary for the duration of your trip, and are at the clients expense. We can suggest tour companies whose pilgrimages are designed solely around the needs of the pilgrims. They are more equipped to help, and special provisions are made throughout. As a Group Pilgrimage - those arrangements are more affordable when split amongst all those attending, rather than the sole individual. This will also supply for a more comfortable pilgrimage. Information about your upcoming Pilgrimage!